Speaking at the 22nd Annual Bahamas Business Outlook event this morning, Prime Minister Perry Christie said that he was optimistic about future economic growth in The Bahamas on the back of the Baha Mar development and other foreign direct investment projects. 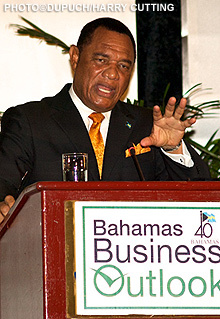 Despite the recent downturn, the government is optimistic about The Bahamas’ economic future due to developments in the construction and tourism industry, Prime Minister Perry Christie (pictured) said today. Minister Christie said he was optimistic for 2013 however, with continued interest in foreign direct investment in real estate, and developments across New Providence such as Baha Mar, redevelopment of the downtown Bay Street area, the South Ocean resort and expansion of the Hilton Hotel injecting growth. The Prime Minister also spoke of upcoming projects in the Family Islands, saying: “We are putting tremendous emphasis on trying to stimulate these economies.” He referred to the Capo Groups’ recently opened Bimini Bay Resort and the $30-million overhaul of Abaco’s Marsh Harbour airport as drivers for growth. Grand Bahama is also set for an economic resurgence, he said, thanks to an agreement with Sunwing Travel Group, under which the Reef Village at Lucaya will re-open as a five-star resort and direct flights to Canadian destinations will become available. 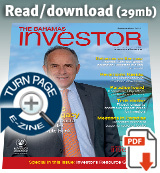 In a bid to invigorate the tourism sector throughout the country, the government is targetting specific niche markets such as medical, sports, heritage and religious tourism, and has invested $50 million in a marketing programme to enhance the country’s reputation and pull in wealthy visitors. The Minister of Tourism Obie Wilchcombe has said that The Bahamas is eyeing record numbers of stopover visitors this year, as the government prepares to host the Caribbean Hotel and Tourism Association (CHTA) Marketplace conference later this month. The global advance toward economic freedom has "ground to a halt," according to the editors of the 19th annual Index of Economic Freedom, released today by The Heritage Foundation and The Wall Street Journal. In the South and Central America/Caribbean region, however, The Bahamas stood out as the only country to improve in classification, becoming "mostly free".